In Japan, the aging of society is accelerating, with people age 65 or older accounting for more than 27% of the population. At the same time, there is a severe shortage in the supply of housing where senior citizens can continue to live comfortably with a sense of security. Moreover, partly because of the weakening of community bonds, there are many cases in which senior citizens and people who need long-term care live in isolation. 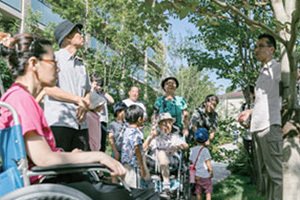 The Group is applying the experience and expertise it has acquired over more than 10 years to support integrated community care and conduct initiatives to promote interaction among generations that include participation of com-munity residents. 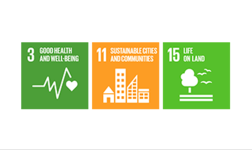 We will continue to support the lifestyles of senior citizens so that everyone in the community, not just those who live in the housing the Group provides, can enjoy their own lifestyles for all time. 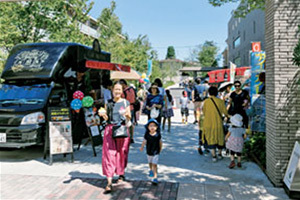 TOKYU LAND CORPORATION, TOKYU E-LIFE DESIGN Inc.
Tokyu Land Corporation and Tokyu Resort Service Co., Ltd. have been arranging golf lessons for elementary school students during summer break to help children get fit and learn new skills and good manners. 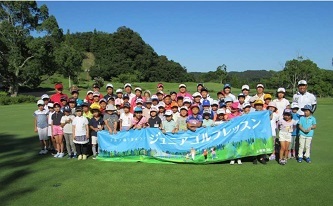 Tokyu Land Corporation and Tokyu Resort Service Co., Ltd. have been arranging golf lessons for elementary school students during summer break to help children get fit and learn new skills and good manners. The lessons, led by golf pros, were held at the Otakijo Golf Club in Chiba Prefecture in August 2018. 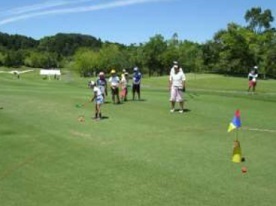 Approximately 60 elementary school students took part in this enjoyable experience learning to play golf. 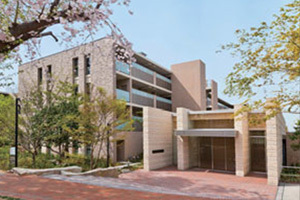 In September 2015, Tokyu Livable, Inc. opened the doors to the model unit for L'gente Liber Shiki, the first in a series of renovated condominiums with the concept of "creating happiness for families raising children." 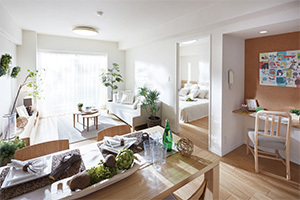 In September 2015, Tokyu Livable, Inc. opened the doors to the model unit for L'gente Liber Shiki, the first in a series of renovated condominiums with the concept of "creating happiness for families raising children." 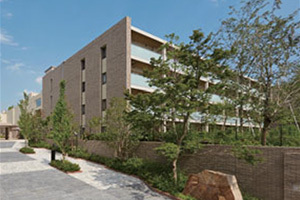 This building features a unique "child raising support master plan" in which layouts provide a comfortable living environment for families raising children and considers the future of the children living there. So that both children and families alike can live in comfort and peace of mind, condominiums that adopt this master plan are thoroughly checked by accredited experts in all aspects, from individual units, common areas and management system to property location and surrounding environment, receiving accreditation as a "child-friendly housing and environment" from Mikihouse Child & Family Research and Marketing Institute Inc.